Amir ElSaffar is one of the United States' most inventive musicians. 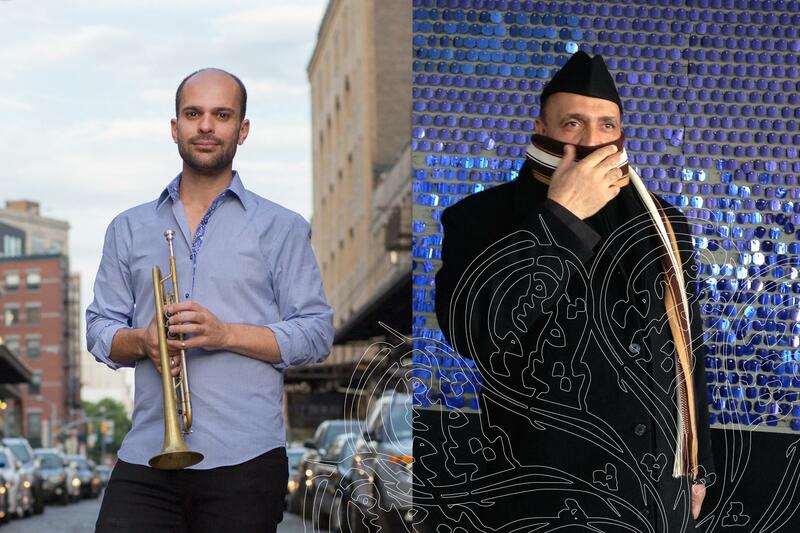 With his Two Rivers Ensemble, he plays trumpet, layering Middle Eastern melodies with jazz improvisation in search of tarab, or musical ecstasy. The son of an Iraqi immigrant father and an American mother, ElSaffar is also an ardent advocate for Iraqi maqam, a centuries-old musical repertoire built on yearning melismatic melodies, shimmering microtonal modes, and entrancing cyclical rhythms. In his Iraqi maqam ensemble, Safaafir, the only such group in the United States, he plays santur, a hypnotic hammered dulcimer central to maqam's enveloping sound. As part of Duke Performances' Building Bridges project, ElSaffar's teacher Hamid Al-Saadi, one of the last living masters of Baghdadi maqam, makes a rare stateside appearance with Safaafir. The lively instrumental trio - santur, the hourglass-shaped doumbek drum, and the bowed rebab - supports Al-Saadi's powerful and plangent baritone voice. Living links to one of the world's most sophisticated and mesmerizing classical forms, Al-Saadi and Safaafir create a vital connection to Iraq's glorious musical heritage.